The type sleeve with six rows of characters was turned and shifted by an intricate system of gears and levers. Printing was done by the sleeve that moved forward onto the platen. 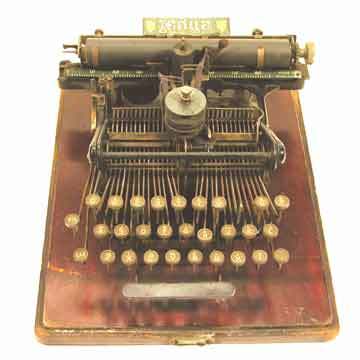 For full details on the Moya typewriters see the book TYPEWRITER, page 190.